Australia has one of the biggest immigration programs in the world with 190,000 places kept every year for permanent migrants. A large part of the program- nearly 70 per cent - is reserved for skilled migrants who bring the in-demand skills to meet the needs of the Australian economy. Over 128,000 permanent visas are issued to skilled migrants with the requisite skills each year. The most in-demand skills this year in Australia include nurses, electricians, secondary school teachers, motor mechanics, metal fitters, carpenters and joiners. In the year 2018-19, Australia has reserved over 17,300 places for registered nurses under the Skilled stream. Under the Skilled Independent stream, visa applicants are not required to have any state/territory or employer nomination and they are issued a permanent visa (Subclass 189) and they are free to live and work anywhere in Australia. In this year’s immigration planning in Australia, 17,322 registered nurses are required and the Department of Home Affairs has invited only 413 people to apply for a visa until 11 September. While with 9,303 electricians, 8,480 secondary school teachers, 8,372 carpenters and joiners, 6,979 metal fitters and machinists and 6,099 motor mechanics are some of the most in-demand occupations, very few people have been invited to apply for a visa under these occupations. Based on the skills and qualifications demonstrated in the Expression of Interest submitted by a prospective visa applicant, the Department of Home Affairs issues them an invite to submit a visa application. The Department of Home Affairs has until 11 September invited 15 electricians, 115 secondary school teachers, six carpenters and joiners, ten motor mechanics and just three metal fitters and machinists to apply for a visa. Ranbir Singh of Lakshaya Migration says while there’s great demand for some occupations in Australia, not many applicants are able to qualify to apply for a permanent residency under those occupations. “I can’t recall having a single client who nominated Livestock Farmer occupation all these years,” he told SBS Punjabi last month. So far, the Department of Home Affairs hasn’t issued a single invite even as there are 4,841 places reserved for livestock farmers this year. “Countries like India are fueling Australia’s immigration intake but those engaged in such occupations in India wouldn’t have the requisite qualifications and English language proficiency that’s mandatory for a permanent visa in Australia,” Mr Singh says. Australia has a massive skill shortage, particularly in rural and regional areas. Agriculture Minister David Littleproud told SBS Punjabi last month that the farming sector in particular was grappling with shortage of labour. “Agriculture has a huge shortage of labour, particularly for picking, and an ag visa [agriculture visa] can help address that,” Mr Littleproud said last month. While a stand-alone agriculture visa has run into trouble with the coalition partners- the Liberals and the Nationals- have different views on it, the new Immigration Minister has repeatedly said that his priority is to address the skill gap in regional Australia. There were over 7,200 places for Software Programmers at the start of this year and 1,231 applicants were issued invites until 11 September to apply for a visa. While the minimum threshold for applying for an Australian permanent visa was lifted to 65 points in July this year, for occupations that have higher interest from visa applicants the required points score can be as high as 80. Mr Singh says many of his clients in such occupations are forced to wait for “very long times”. He says occupations that don’t exhaust their individual quota of places for failing to attract enough applicants aren’t allocated to other occupations. “Last year we saw there were 12,000 fewer skilled visas granted compared to the previous year. 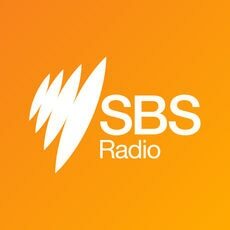 Yes, it was due to increased scrutiny of applicants but a part of it was due to the skills that are required in Australia but don’t get enough applicants,” Mr Singh told SBS Punjabi. Prime Minister Scott Morrison says he expects Australia's permanent annual immigration intake to remain at year's level "just a little over 160,000" against the planning level of 190,000.